Hello my journaling lovelies! 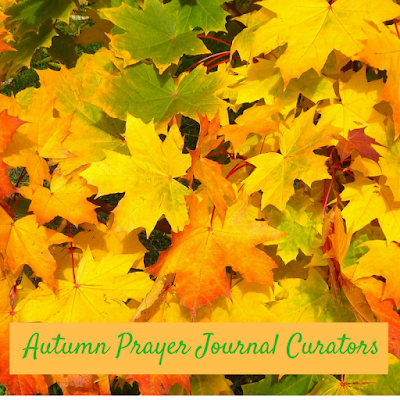 It's another Wednesday edition of our prayer journal series, towards our efforts to count our blessings and ease stress. :) I hope that you are doing well, and that your week is going along extra swimmingly! I really enjoyed our personality quiz discussion from yesterday. That's yet another blessing to count - my community! For my part, I will say that I think this exercise is really helping. I'm feeling a ton better than I was earlier in the semester, so I'll take it! Let's get started with this week's list! Inspire - This week, I am inspired by Mother Angelica. I just finished chapter 1 of Mother Angelica Her Grand Silence, and I am absolutely loving it. I always loved Mother's tenacity and humor as I watched EWTN through the early years of my adulthood, but reading this book is really bringing her steadfast faith to the forefront. I need to trust God the way she did. Nourish - The St. Therese novena has really been speaking to me this week. The introductions to the prayers that Pray More Novenas has been including has drawn me in and soothed my soul. Spread Joy - I talked about the oozing monster that is my work email inbox right now on last week's edition of Tea Time. The situation has remained about the same. However, I have been handling it with much more ease this week. Even when I get The Most Annoying Email Message Of All Time, I am cheerful and jokingly plucky when I respond. It makes me smile to do so, and hopefully it does the same on the other end. Based upon the responses I've gotten, it has been working. Involve - By starting the Mother Angelica book I mentioned above, I have been sticking to my fall spiritual reading list, and I'm pleased with that. I still have books in my cart at Amazon for Advent/new liturgical year, but there's no rush to get those in hand. Going to pull the trigger on those soon. But in the meantime, concentrating on the 3 titles I have on my list. Reflect - Lord, I can feel your hand moving in my life this week. Help me always to notice and appreciate that in the same way I do right at this moment! Do you have an INSPIRE list for the week? Link or detail in the comments! Inspire - I went for a walk around my neighborhood last night and saw the sunset. It was beautiful and a reminder that beautiful things are all around if I take the time to notice them. Nourish - I started reading My Badass Book of Saints which I'm enjoying so far. There are questions to think about at the end of each chapter and these are helpful for thinking about the chapter instead of immediately moving on to the next one. Spread Joy - I took a picture of the sunset and later sent it to a friend as part of a text message conversation. Her response was to tell me she made it the wallpaper on her phone. Projects - I'm somewhat in between projects right now. I'm thinking about starting a pair of socks if I can find a pattern I like to go with the yarn I have. I'm also thinking about making a quilt out of some t-shirts I have that have sentimental value but I no longer wear (mostly because they no longer fit). Involve - For the last month or so I've been thinking I haven't been to confession in a while I should probably go. Last Saturday I went. Reflect - Dear God, thank you for the reminder that beauty is all around us if we only look for it. Please help me to be more attentive to you when you speak. End Goals - To spend some time discerning God's will in my life right now instead of just thinking I should think about it. To that end I'd like to make it to adoration at some point this week, even if it is only for 15 minutes. Inspire: I work with some amazing people. They inspire me to do everything from work harder to dress better. Nourish: I'm listening to a Great Course on the History of the Catholic Church. Spread joy: My little boy (five months old) learnt to stick out his tongue this weekend, and I'm showing everyone the picture. Projects: 1. Crocheting a toy-car play mat for a friend's son. 2) Fixing up my house (getting mats today!). 3) Crocheting blanket for my son to take to day-care. Something from his mommy. Reflect: Sometimes, in the rush to move forward, I forget about all that I've accomplished. I have much to be thankful for. Inspire: Gregorian chant has been my inspiration in completing homework this week, and staying on top of things I need to get done. Nourish: The St. Therese Novena is lovely. It is one of my favorites (and the first novena I ever prayed a few years back). I've also been praying the chaplet of St. Dymphna the past few days for some special intentions, and turning that into a novena. Spread joy: I've had Scentsy going in my warmer all week (right now it's Autumn Maple Blaze). Whenever my roommates walk in, I hear something to the effect of "It smells SO good in here!" Projects: Working on an observation report for my inclusion class. That's about as "project-y" as I can get right now. 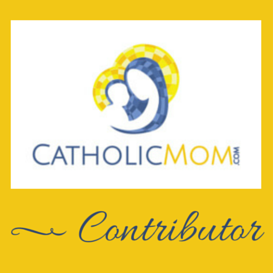 Involve: I am loving learning about Mother Angelica! I knew very little about her life before I started reading this book. I finished Chapter 3 last night. Reflect: Lord, I know I have a long way to go in discerning your will for my life. Help me to seek your will every day. End goals: I really need to journal more often. I'm finding this very therapeutic. SAM! I love this so much! Scentsy as the Spread Joy?! This makes me so happy! I am loving the Mother Angelica book too. You're a little ahead of me, but I'm about midway through chapter 2, so I'm almost there!